In 1993 the Schwamborn Gerätebau GmbH was certified according to ISO 9002 and successfully also in 2004 according to ISO 9001. 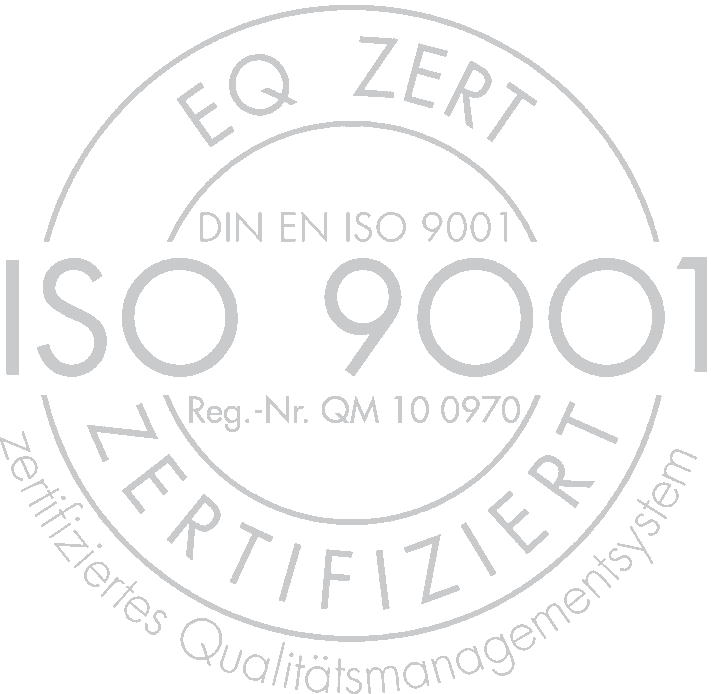 Since 2010 Schwamborn Gerätebau GmbH has been certified according to ISO 9001: 2008 by the accredited certification body of EQ ZERT of Ulm, Germany. We are constantly striving to identify the optimization potential to be expanded into our quality management system. This reflects on our high quality awareness and the urge to constantly develop the Schwamborn organization. In early September 2018 the EQ ZERT certification company was welcomed at the Schwamborn headquarters. Topic of the day was an auditing regarding the amended standard of DIN EN ISO 9001:2015. This quality management standard included development, production, assembly and sales. After only a few days we received the official certification certificate. In the future we look forward to offering a certified management system in accordance with the current ISO 9001 standard to our customers.